Well done to Dean Blanch on taking down the win. 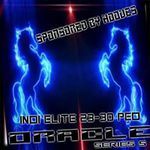 If you would like to join 23/28 ped Elite rules then you must have VIP to enter (for getting in the rooms). Here is the link - www.facebook.com/groups/378743048973893/ hopefully we will see you there.